Dual enrollment programs can ease students’ transitions from high school to postsecondary institutions as they continue along their desired programs of study, while also decreasing the cost of postsecondary education by allowing students to earn college credits while in high school. For the college credit earned through dual enrollment programs to be recognized, high school teachers must be qualified to teach college-level courses. As the availability of dual enrollment programs continue to increase, so have concerns about the qualifications of high school dual enrollment program teachers. 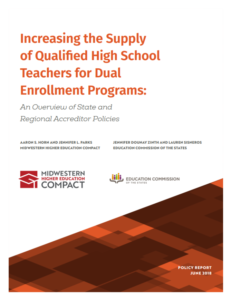 To understand the current landscape of policies impacting the quality of dual enrollment instructors, the Midwestern Higher Education Compact and the Education Commission the States released a report that summarizes state policies for dual enrollment instructors, regional accreditation organizations’ faculty policies and state strategies to increase the supply of qualified high school teachers for dual enrollment programs. 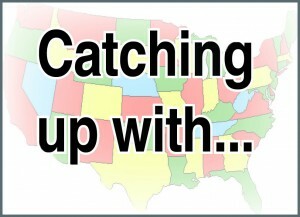 The report found that criteria for qualifying Career Technical Education (CTE) instructors are mentioned in state-level policies in eight states (Colorado, Illinois, Kansas, Maine, Missouri, Mississippi, Ohio, Virginia). Dual enrollment teacher qualification policies are generally related to education attainment level, but exemptions are sometimes made for CTE dual enrollment instructors. In some of these cases, states allow exemption from qualification rules when instructors can demonstrate proficiency in the field they will teach and consider industry recognized credentials and years of experience working in the field when determining teacher qualifications. These exemptions and considerations are necessary to provide a pipeline of quality CTE dual enrollment instructors that can provide real-world perspectives and industry expert knowledge to students to equip them with the skills to be successful in an ever evolving workforce. Flexible requirements that still ensure that teachers have the relevant qualifications are necessary to address the shortage of qualified CTE instructors. The report outlined seven strategies, such as offering financial aid for high school instructors to complete graduate credits, states are using to increase the supply of high school instructors qualified to teach in dual enrollment programs. These strategies are meant to incentivise professional development, coordinate and promote credentialing efforts and increase awareness of graduate program options. 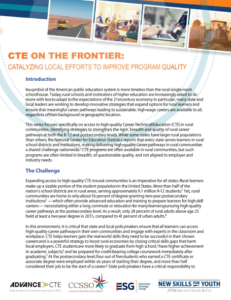 These strategies, partnered with those outlined in Advance CTE’s brief about strengthening the rural CTE teacher pipeline and report about increasing access to industry experts in high school, provide policymakers and stakeholders with actions to address the CTE dual enrollment teacher shortage while also ensuring quality instruction for learners. Advance CTE will continue to monitor policies that impact the pipeline of quality CTE dual enrollment instructors.